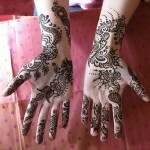 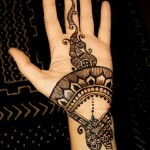 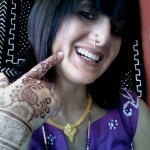 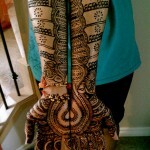 Mehndi is a temporary art done on the body with henna. 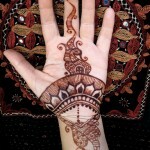 Henna powder is derived from a plant (actually a bush), Lawsonia inermis, commonly found in the Middle East and other areas where the climate is hot and dry. 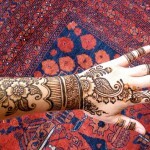 The bush is harvested, dried, and then crushed to make henna powder. 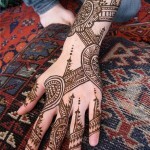 Henna itself is used for many things such as hair treatment, heat rash relief, and skin conditioner to name a few. 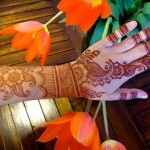 The top leaves of the plant are best for mehndi, while the lower part of the plant is used for the other purposes. 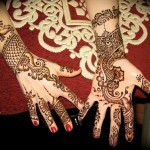 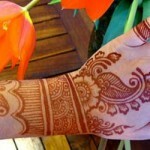 Henna paste is what is made to apply henna art designs. 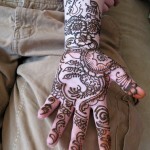 Mehndi, also know as henna, is made from a powder derived from plant leaves. 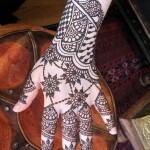 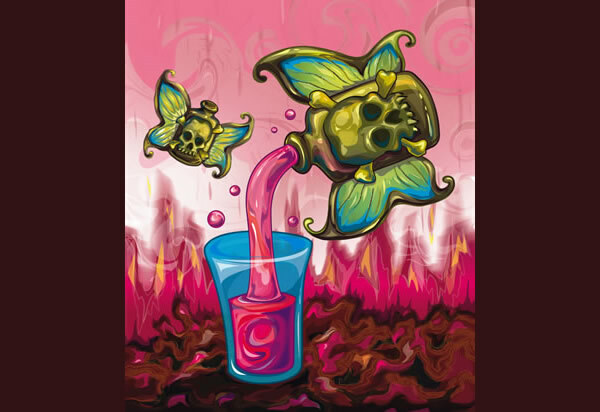 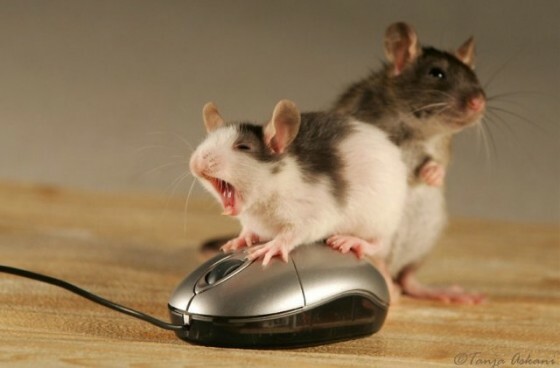 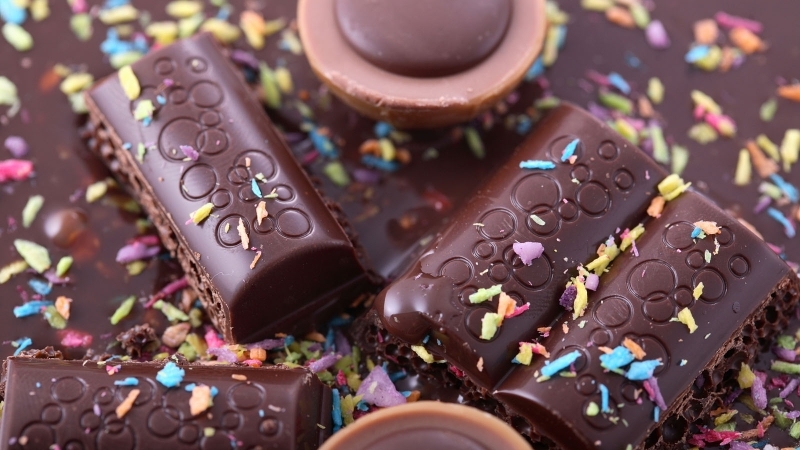 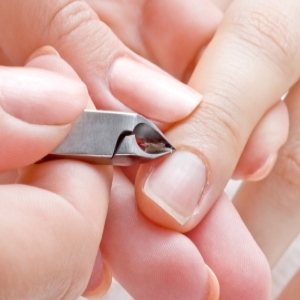 It is applied in intricate patterns that are specific to different regions. 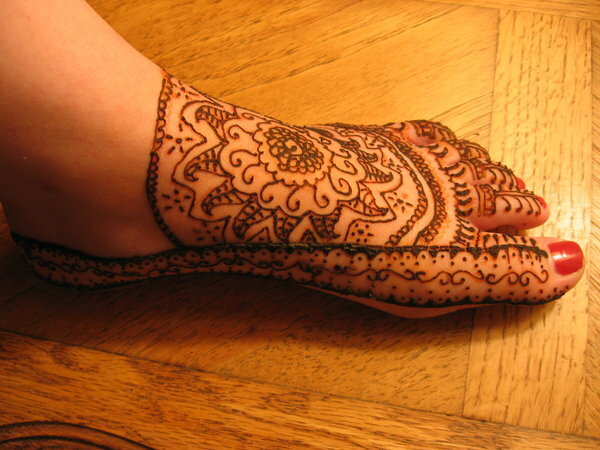 Traditional Asian wedding makeup includes fine, floral or lacey patterns of henna that are applied to the hands and feet.